In a teaser for the new season of IFC’s Portlandia, protagonist Fred Armisen comes to Austin, Texas whereKyle MacLachlan plays the mayor who navigates the pitfalls of our neighborhoods. Coffee shops, record stores, a couple of bars: “Alright, cool,” MacLachlan says. But then strollers and baby clothing stores start popping up, “Not cool!” he protests. The show’s hyperbole isn’t far off: It’s hard to find a good, affordable place to live in this town. The Austin real estate bubble’s most difficult issues manifest themselves in the realm of single-family housing. Buoyed by soaring property costs, speculative redevelopment has been transformative in central neighborhoods, especially East Austin. Typically, developers buy properties and quickly erect a cheap new house that maximizes the allotted FAR (floor area ratio) of the site, thereby maximizing sales profit. This type of development is disruptive. As houses grow larger and boxier, they change a street’s definitive qualities of scale and grain. 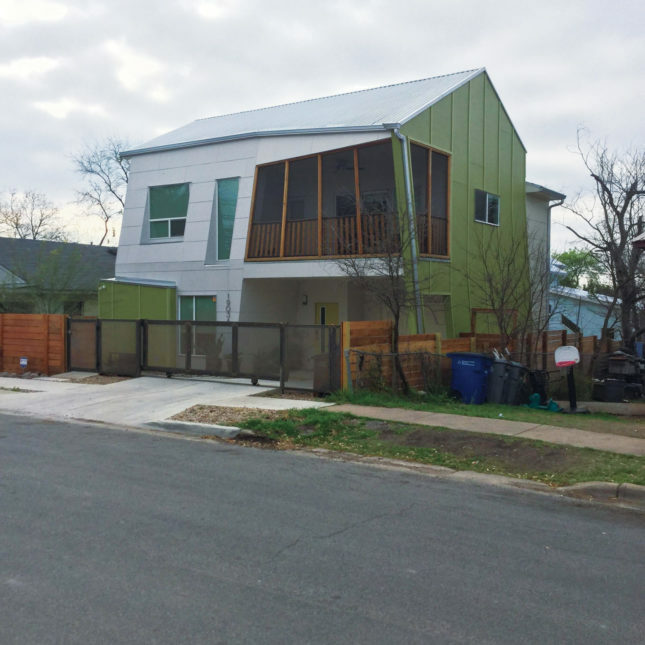 Last December, the Austin City Council updated the Accessory Dwelling Unit (ADU) requirements, which set limitations on the size and placement of back houses. ADUs are now able to be 1,100 square feet (up from 850 square feet), closer to the main structures (10 feet, down from 15 feet) and a parking space is not required in some areas. 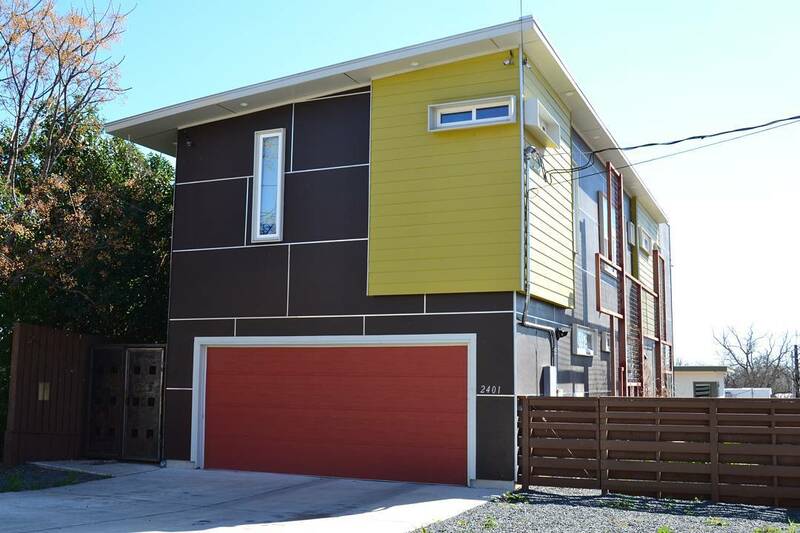 The minimum lot size required for an ADU is now 5,740 square feet, down from 7,000 square feet. The legislation also placed restrictions on the use of ADUs for short-term rentals, a contentious issue that further affects housing prices. This is a step in the right direction. 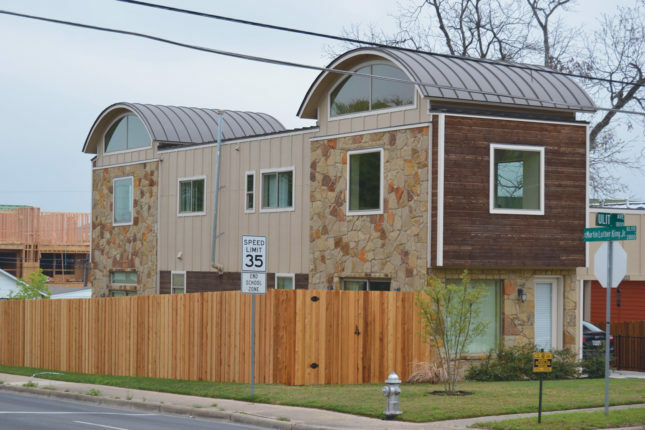 Currently, Austin’s minimum buildable lot size is 5,750 square feet, and a movement for small lot amnesty calls for that number’s reduction. The opposition is explicit in its reasoning: Such a change would allow developers to buy larger lots and subdivide them, encouraging further conversion of neighborhoods into engines of capital creation. Unfortunately, whatever is good for urban density is good for developers, as it increases the number of housing units to be sold. Small secondary houses do improve density, but they don’t adequately address affordability. Those residences are sold or rented at market cost-per-square-foot prices, rendering them only available to individuals or couples who can both afford them and only require so much space—youthful types who move here in large quantities. Hence, gentrification. This doesn’t help families or low-income individuals, populations that are in decline in central Austin. Minority residents of East Austin, for example, are priced out of their homes and are exiting the city in large numbers. African-Americans in particular are adversely affected, singled out as the only demographic that’s shrinking in our booming city. Such trends have created an Austin that is now the most economically segregated metro area in the country.